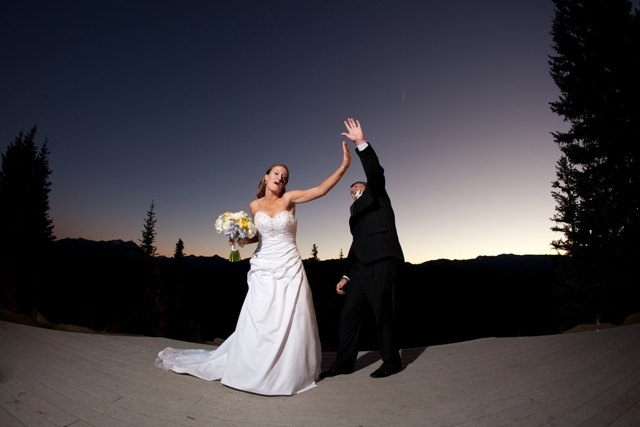 Allison Noie and John Czechowitz have graciously shared memories from their wedding day on Sept. 25, 2010. This couple brings a big smile to our faces, and we bet they will bring one to yours as well. Why Aspen and The Little Nell? 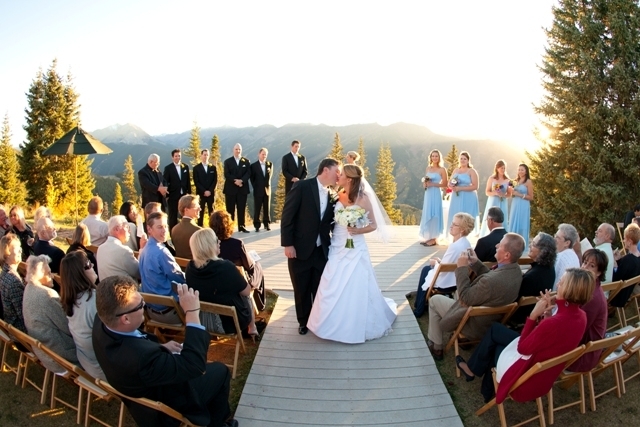 The Sundeck was the perfect location for this couple's mountaintop nuptuals. The venue was chosen mutually, but for different reasons. I grew up in Wisconsin and had always dreamed of a beach wedding. In 2002, however, my older sister beat me to it and had her wedding in gorgeous Sanibel Island, FL. Competitive by nature, I knew I needed to do something completely different and beautiful in a different way – the top of a mountain was a great choice. John, on the other hand, wanted the best of the best, with spectacular views and all-inclusive five-star service. The Little Nell was a perfect fit for both of us. 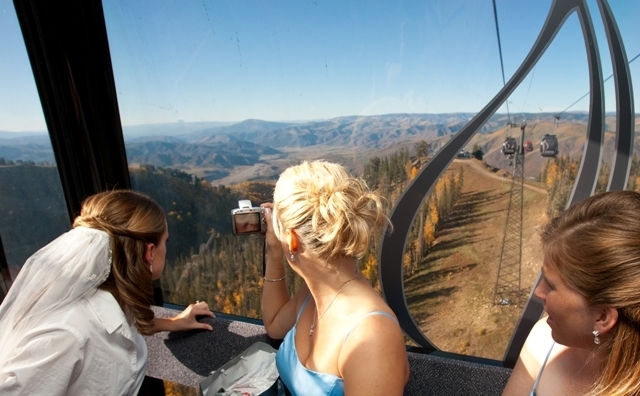 The gondola ride to the wedding was a favorite memory. Coming down in the gondola was beautiful, as I had never seen Aspen at night, but my most memorable gondola moment was the upload experience. I was with my sister, my childhood best friend and three of my hilarious photographers. It was so much fun sharing the girls’ first-time gondola upload, laughing hysterically, admiring the amazing views, feeling like a movie star with my own paparazzi, and experiencing the most intense excitement I had ever felt in my life. When I rounded the corner on my dad’s arm, I saw the mountains, the wedding setup, all of our friends and family, and John, beautifully backlit by the late afternoon sun. It was very ethereal and beautiful and was the only time that day that I became truly emotional. The Goat Cheese ‘Fritti’ and Crispy Skin Chicken with tomatoes, fava beans, and mint… both delicious! The cookies for download were a great snack after a lot of dancing. 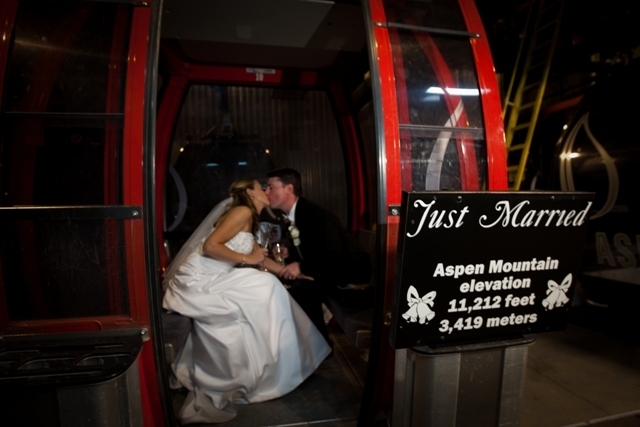 Tips for the Aspen Bride? 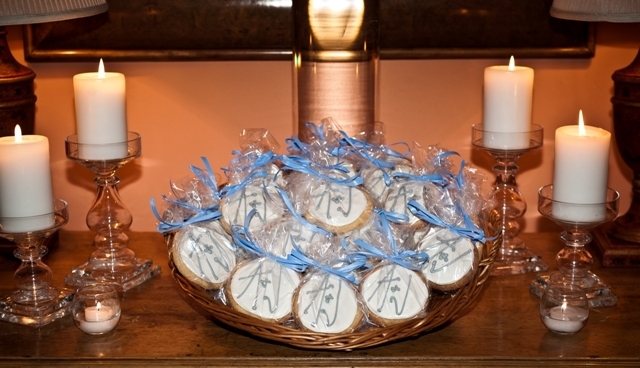 Have at least a day-of wedding coordinator. 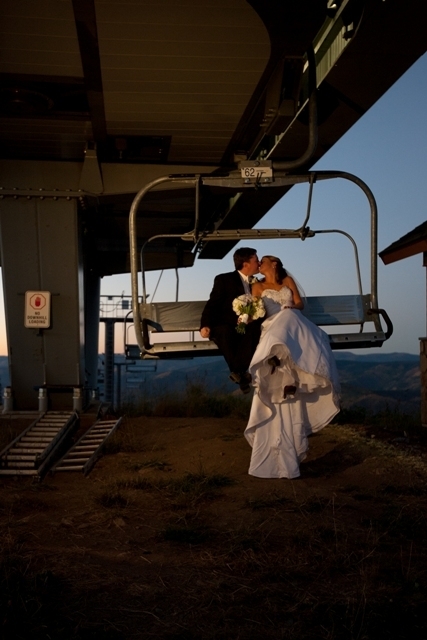 The last thing you want to do is run around on your wedding day worrying about vendors and set-up. Also, Aspen tends to be expensive, so watch your budget and shop around. I cut out all the little details (that no one would ever remember anyway) and focused on having fun. Because of both of these reasons, I was not stressed or worried, and I relaxed and enjoyed the day.